Which tastes better clam chowder or fried clams? What’s your tool of choice – clam shovel or clam gun? Do you dig an hour before or after the low tide? And, just how do you spot those darn holes? Dan Ayres, the Coastal Shellfish Lead Biologist for the Washington Department of Fish and Wildlife, spent some time clearing up (or maybe adding to the long-standing debates) some of the questions above. 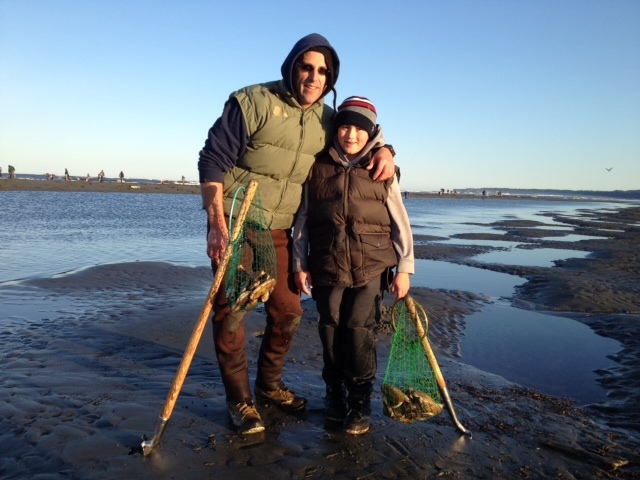 Ayres predicts a promising razor clam season along Washington’s coastal beaches. “We are noting really strong populations on all the open beaches. Twin Harbors beach is the largest population recorded in at least the last sixteen years and we are noticing a similar density at Mocrocks,” notes the biologist. Erik M. Kupka, an attorney practicing in both Aberdeen and Olympia, is teaching his three daughters to share in their father’s passion for the elusive native Siliqua patula, commonly known as the Pacific Razor Clam. 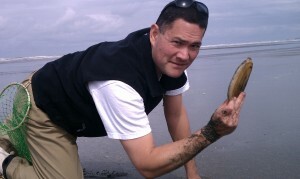 “Razor clam digging is not difficult. You don’t need a lot of knowledge or specialized gear. And it doesn’t take a lot of practice to get the hang of it,” explains Ayres. 1. Tune your eye to the show. Figure out what a clam hole looks like. “Some days it’s a doughnut shape hole and other times it may be much smaller, like someone jabbed a pencil into the sand,” describes Ayres. “The trick is to know that clams will show in a similar fashion each dig.” Once you find the pattern, watch for the holes on the beach. 2. Have the right shovel or tube. Skip a garden shovel and rake and swing into a nearby hardware or sporting good store to pick up a legitimate clam shovel (also referred to as the clam gun) or the clam tube. Ayres notes that the clam tube is typically easier for beginning diggers. New models are even designed so that you can pull it up with one hand and avoid the back-breaking labor of digging. 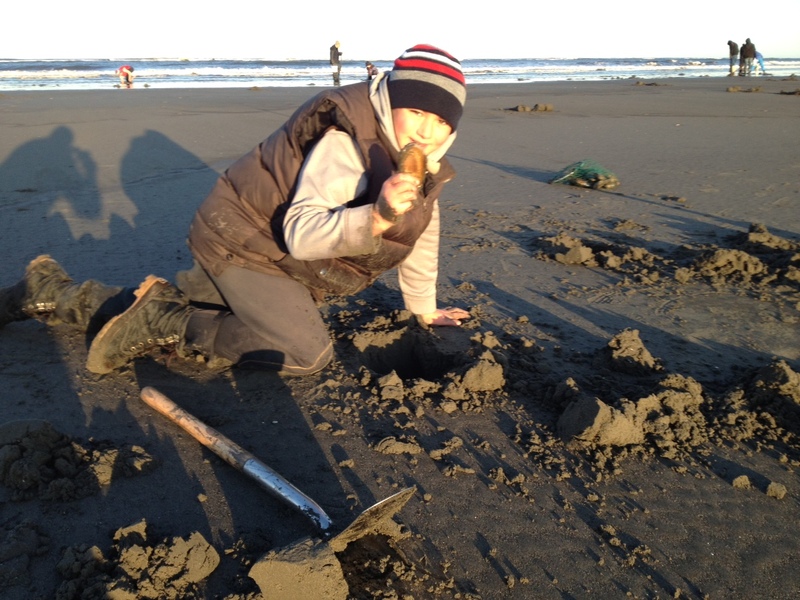 A comprehensive tutorial on how to dig razor clams using either a clam shovel or clam gun can be found on the WDFW website. You will get wet and sandy, regardless of your tools and technique. 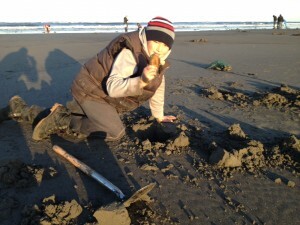 Jim Boora's son pulls up a razor clam during a glorious dig on Mocrocks. Ayres may be the ‘official’ Grays Harbor expert on razor clam digging. But, talk to many long-time Harborites and you will get your own set of instruction. Harborites dig razor clams – and they dig them religiously often in nasty conditions. It’s with a sense of pride that many bring home a limit of clams, while battling the surf and rain pounding sideways. Another Harborite, Jim Boora, has also been digging since he could walk. Boora suggests being at the beach early, about two hours before low tide. “Drive the beach slowly and look for diggers that are getting clams,” he suggests. Razor clam digging is an activity suitable for the whole family. Ayres notes that as long as children under age 15 are participating in the dig, they are permitted to get a limit without a license. 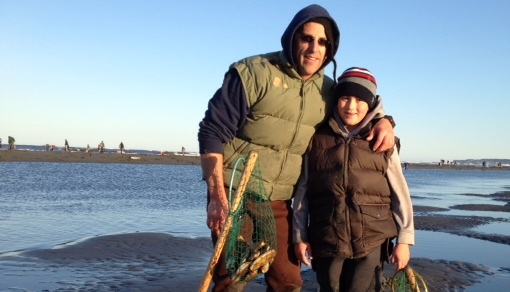 Jim Boora and his son display their limit of 15 razor clams dug along Washington's coastal beaches. “In practice, kids need help to learn how to dig clams so a certain degree of assistance from an adult is OK,” says Ayres. 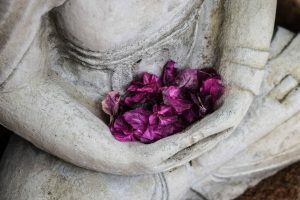 “But if you are allowing your child to attempt to get some clams, the kid should be old enough to reach down, get sandy and wet, and at least grab the clam to bring it up.” And working toward learning out to dig the clam themselves. Boora and Kupka agree that the best role for kids just learning to dig is to help spot the clam hole. Each of these beaches are part of Mocrocks Beach, located north of Ocean Shores, just off the 18-mile stretch of State Highway 109. A map of Washington beaches that permit razor clam digging can be found here. Thanks, Dan – that’s just what Harborites like to hear… leave the clams for the serious diggers.